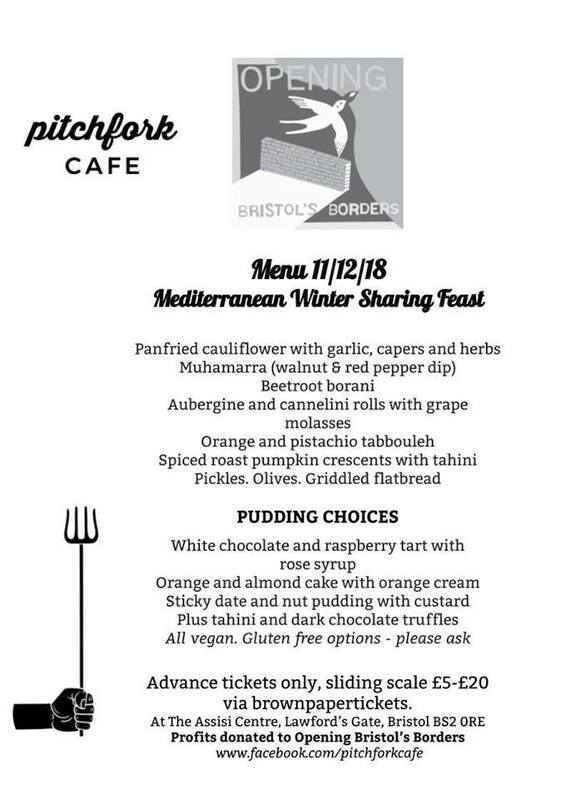 Pitchfork Cafe is returning for the last of the years feasts (Dec 11), this time raising money for Opening Bristol’s Borders and marking the end of a series of events they have been organising. We will be at the Assissi Centre in Old Market with a mediterranean themed sharing feast. Think colourful platters of vegetables and warming spices, as well as a pudding trolley!